In this exhibition Bridget Smith revisits an early fascination with the architecture and aura of cinema spaces. Using film, photography and objects Smith examines the different physical elements of the auditorium, creating a sculptural installation made up of individual works in the form of a deconstructed cinema space. Blueprint for a Curtain is a 1:1 scale cyanotype print depicting a silk cinema curtain. The photograph itself spills off the gallery wall in a cascade of paper onto the floor. One of the earliest photographic processes (also known as blueprint), the cyanotype technique uses ultra-violet light to create two-tone representations on paper. With their intense colour and hand-made process the prints possess a very evident materiality. Blueprint for a Sea is a series of cyanotypes created by photographing cinema seating, but they also allude to the wave-like forms and light refractions on the surface of the sea. These works subtly re-imagine an exterior landscape through interior space. Suspended in relation to these pieces are a series of opaline globe lights. These objects simultaneously act as a source of illumination and a reference to the Sun. In Smith’s work, both the image and prop activate and alter our perception of the other. 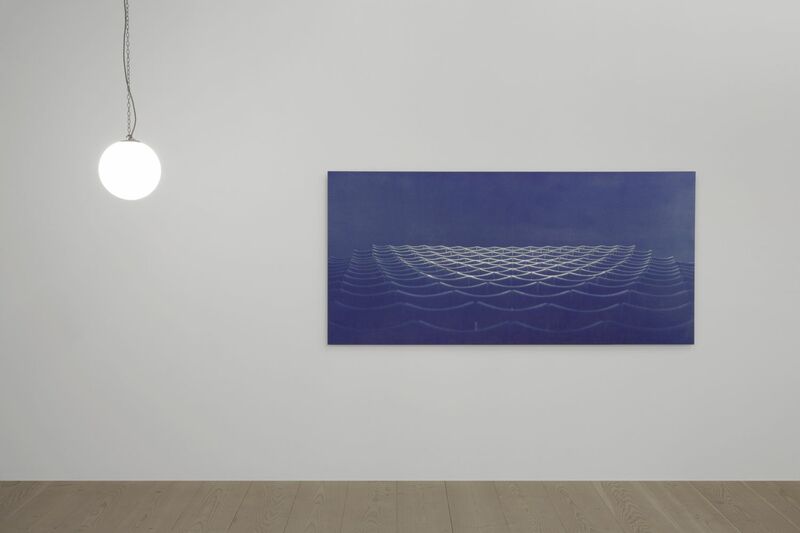 Bridget Smith’s solo exhibition If You Want To Talk About Light You Have To Take About Waves was presented at Focal Point Gallery, Southend-on-Sea in 2015. Other exhibitions include: Lovin’ it, a group exhibition at the Bromer Art Collection, Roggwil, Switzerland, 2013, The Occupants: Contemporary Perspectives on the Picker House Stanley Picker Gallery, Kingston, 2012, We Must Live! Frith Street Gallery, 2011, Nobody Else Even Knows, Peer, London, 2011. Bridget Smith lives and works in London.